Sometimes, I do strange things for my job. 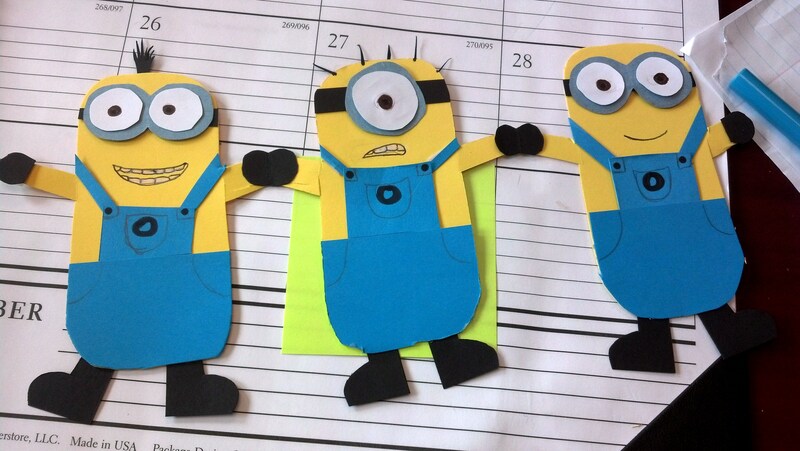 . . Today, at work, I made this paper chain of Despicable Me minions, which will serve as a model for my French 1 students in one of our upcoming class tasks. I wonder if other professions do stuff like this. How did you make them join hands?